Sir Bradley Wiggins will join his team-mates at the 2016 Dubai Tour in February, as Team Wiggins has been named on the roster of 16 squads taking part in the third edition of the event. A total of 10 WorldTour teams, three Professional Continental, two Continental and one national team will take part in the UCI 2.HC-ranked four-day race, which runs from February 3 to 6. For the first time three British teams will be present: Team Sky, Team Wiggins and One Pro Cycling. Brit sprint ace Mark Cavendish is also set to return to the event as defending champion with his new team, Dimension Data. “I’m really excited to be racing with my team at the 2016 Dubai Tour,” said Wiggins. “It’s a really exciting event and we’re looking forward to competing with some of the best teams in the world”. Wiggins has said that he will ride in support of his team-mates, as he focuses on preparing for the team pursuit on the track at the 2016 Olympic Games in Rio. One Pro Cycling take part after they move up to Pro Continental status for 2016. The team owned by former England cricketer Matt Prior has made a raft of new signings and Dubai will be one of its first races against the top-flight squads. Along with Sky and Dimension Data, the WorldTour teams taking part in the race are: Astana, BMC, Etixx-QuickStep, Lampre-Merida, Movistar, Giant-Alpecin, Tinkoff and Trek Factory Racing. 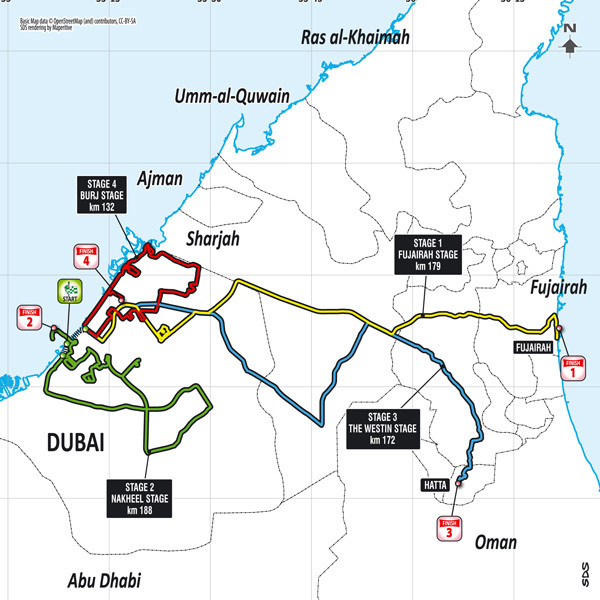 The 2016 route offers three flat stages and one with an uphill finish, just as it did in 2015. Stage three has a sting in its tail – a short, sharp ascent to the line. 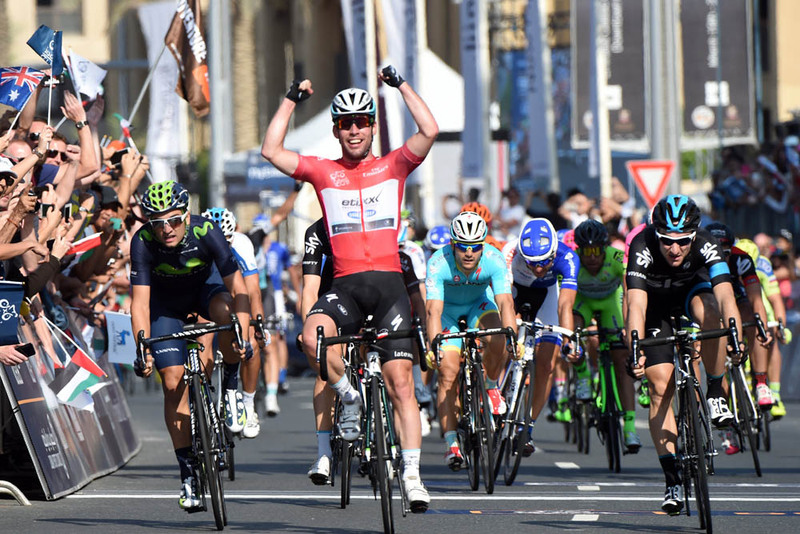 German John Degenkolb (Giant-Alpecin) powered to win the equivalent stage in 2015, with Cavendish reclaiming the race lead on the final day with the stage victory.